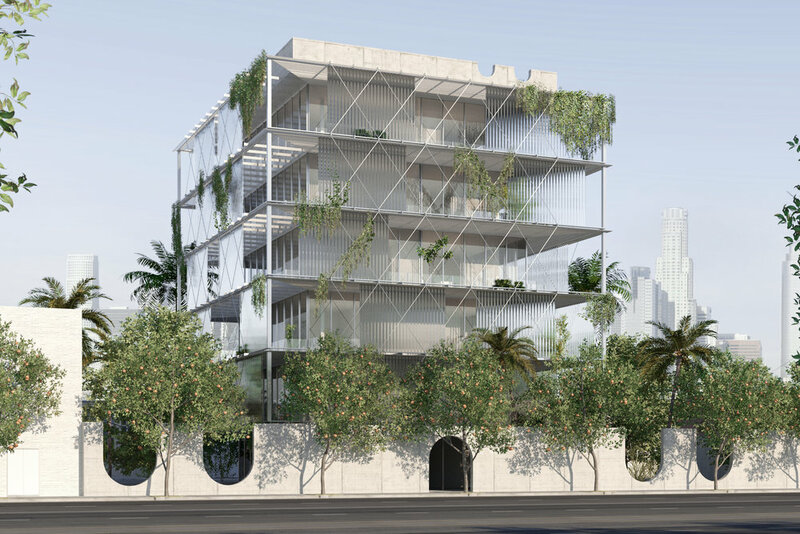 Charlap Hyman & Herrero has designed a seven-story mixed-use building in Los Angeles’ budding Arts District. An airy and private oasis in one of the city’s most condensed neighborhoods, the building features prefabricated aluminum and polycarbonate extrusions that serve as a brise-soleil on the simple steel and glass volume. The structure’s elegant use of industrial materials recalls Case Study houses of the 1950s, and its ground floor and roof deck gardens allude to the courtyards of the region’s 1920s Spanish-style villas.